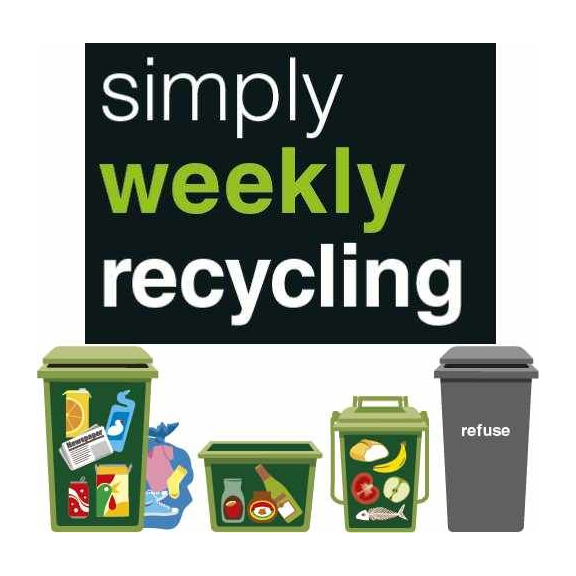 From 8 May, Epsom & Ewell Borough Council will start to roll out its new Simply Weekly Recycling collection service. Simply Weekly Recycling will see weekly collections of rubbish and recycling for residents, with the aim of increasing recycling rates. As well as the environmental benefits, increasing recycling rates is seen as a significant factor in controlling council costs. The change has been made possible by council investment in a new fleet of dustcarts and associated vehicles. As residents will not need as much space for refuse, and the aim is to increase recycling, the Council will be switching the use of resident’s current bins – to increase the provision for recycling. Residents will get sticker labels on their bins and a handy guide to the new Simply Weekly Recycling collection service. The Council has been running a series of roadshows for the last year explaining the new service and the change of bins – feedback from residents has been overwhelmingly positive.